Today (15th August) is Officially International Green Smoothie Day. 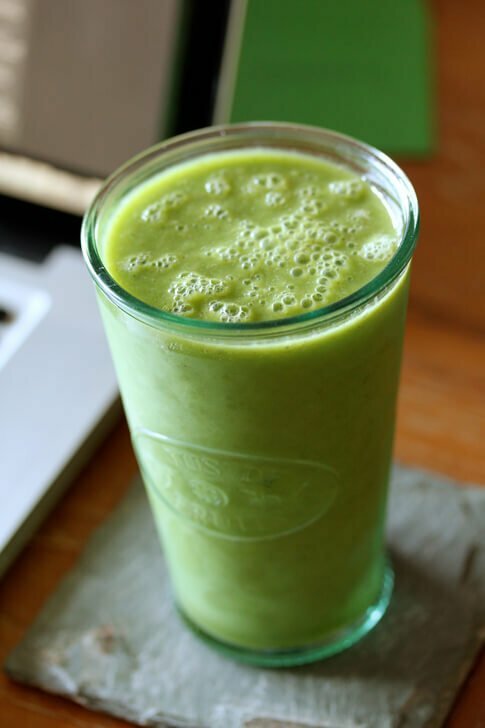 So what could be better than sharing my top 10 green smoothie recipes with you. 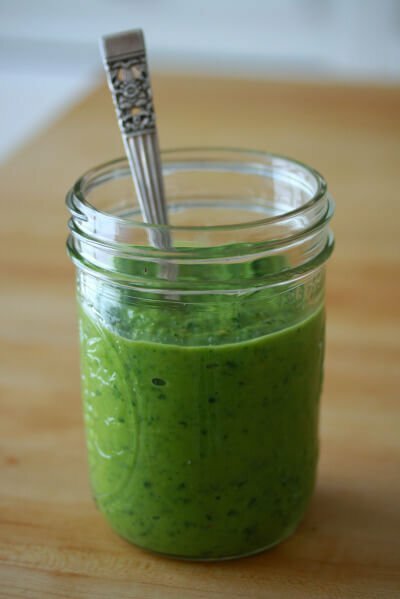 If you’ve never had a green smoothie before, you’ve been missing out! There is a reason this incredible drink has become as popular as it has. 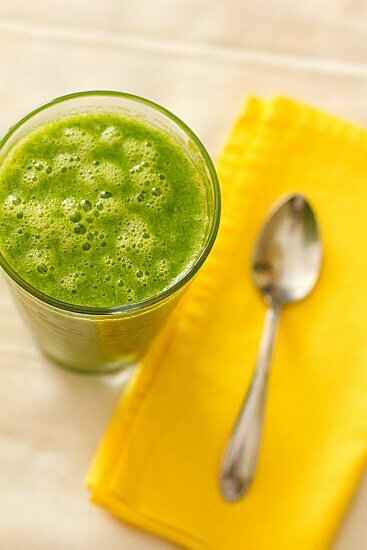 Once you start drinking a daily green smoothie, you will have so much energy and feel amazing. It’s much easier to lose weight and recover from major health problems (as I did) when you ensure you get your daily dose of green smoothies. 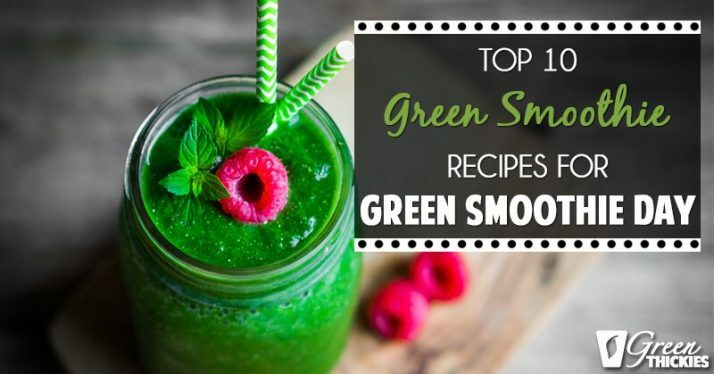 These 10 recipes are some of the most popular green smoothie recipes in the world. 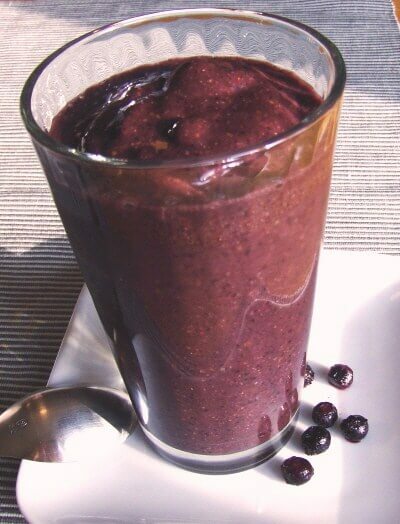 Give this miracle drink a try today and reap the benefits for yourself. 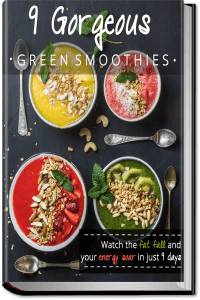 I hope this blog post has given you some great green smoothie recipes that you can add to your collection. Which one is your favourite? 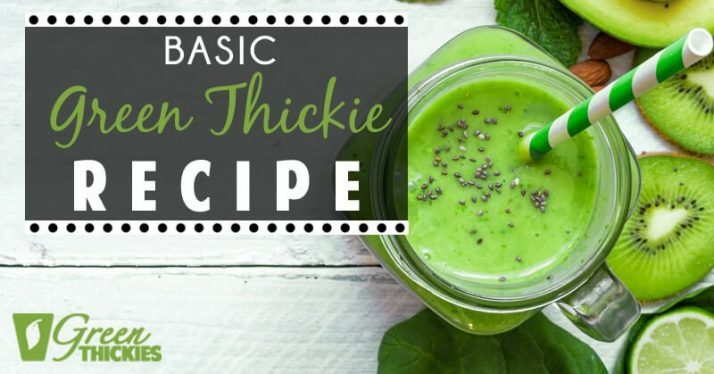 For more filling green smoothie recipes (Green Thickies), check out my recipes. Thank you! And thank you for creating such a gorgeous smoothie. I adore your recipe photos, they are mouth watering! I want to make literally everything you share! No Problem, thanks so much for allowing me to share such a gorgeous recipe. I love your website and recipes! Many thanks and Happy Green Smoothie drinking. Great smoothies! Love all the ideas you’ve collected! Thank you Amber. That’s funny I had already found your recipe and had just left a comment saying how refreshing it sounded. Yum! Thanks for sharing with us on AFW. 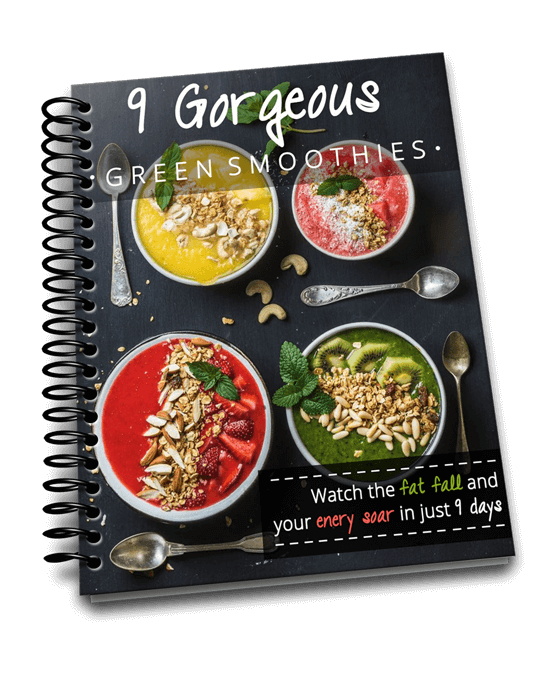 Such a great collection of smoothie recipes. 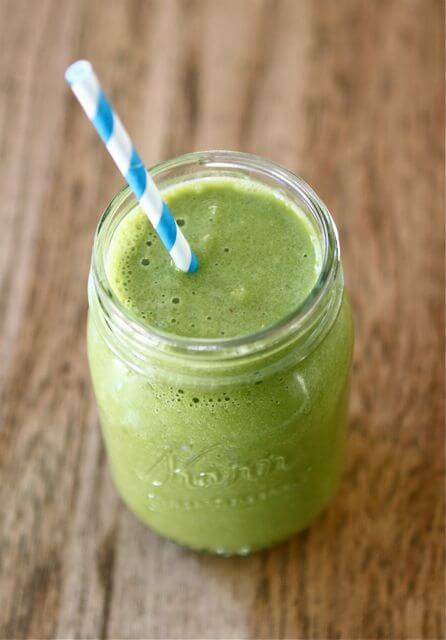 Happy Green Smoothie Day to you too! Thank you so much for pinning ALL of these recipes. I really appreciate it and I’m sure the other bloggers will really appreciate it too. They are absolutely gorgeous green smoothies and all unique. This morning I had the Key Lime Pie which was absolutely gorgeous. I couldn’t get enough of this one! I also had smooth operator which included nutritional yeast which I’ve never had in a smoothie before but it tasted amazing. It just made the smoothie taste so wholesome and balanced. 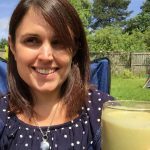 The Basic Green Smoothie was extremely refreshing, zingy and not overly sweet so good on a hot summers day (like today in the UK, yay!) And I also had the healthy limeade smoothie. This is a non sweet green smoothie so perfect if you’re avoiding fruit. 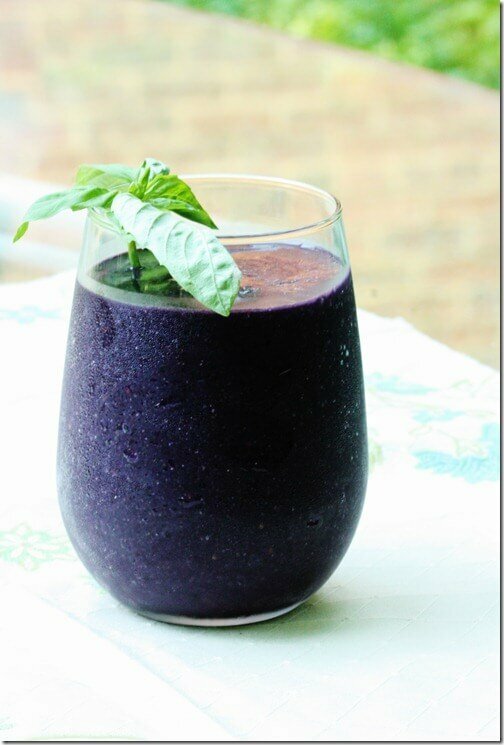 It reminded me of the smoothie I drank all the way through my pregnancy, tangy and fresh. Yum! Hi Cindy, Happy Birthday. Yes what a great day to have your birthday on Green Smoothie Day. Thank you for inviting me over to Gluten Free Fridays. It sounds great. I’ll come over now and have a look. Many thanks for visiting Green Thickies. Tweeted and pinned your entry to our “gluten free fridays” board on Pinterest! :) Thanks for entering your goodness! Thank you so much Cindy. That’s so kind of you. Great blog hop! 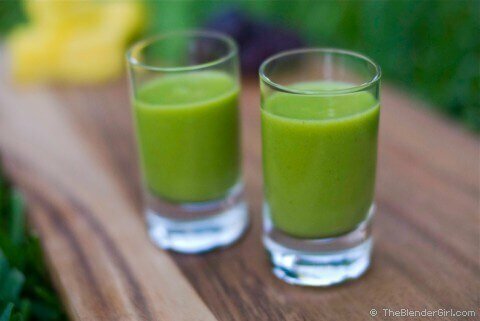 That’s the beauty of a green smoothie, they are fruity, taste fruity and if you can get over the green colour you won’t even notice they aren’t a fruit smoothie. Try adding black berries to your smoothie to make it purple and get the benefit of the greens too. Hi Kirsty. Ooo I wonder if blackberries are popping up around here too. I’ll have to have a look around and see if I can find any good places to go and pick them. That smoothie is such a lovely colour isn’t it. Thank you for your comment and I look forward to another Fresh Foods Blog Hop. Your smoothies like they taste as good as they are for you. Thank you so much for sharing them on foodie friday. Glad to have as part of our health conscious community. Thank you. I do really hope people enjoy these smoothies as well as get the health benefits. Thank you for visiting Green Thickies. It’s great to be part of Foodie Friday. Hi Katherine, I would like to feature this post on Allergy Free Wednesday this week, let me know if you get a link back in your post! Hi Tessa. That’s so kind of you, thank you so much for featuring this post on Allergy Free Wednesdays. I will let you know if I get a link back. Thank you Jessica. That’s great you drink smoothies. They are so good for you and your baby too. My baby loves green smoothies. I have headed over to your blog to link up. Many thanks for inviting me. Hi Meghan, no problems, thank you for hosting such a great blog hop. I always found juicing a lot harder and more expensive but I just make a massive batch of smoothies for the day and I’m sorted then. I hope you find a recipe you like. I add oats to most of my recipes (green thickies) so they fill me up enough to get me through the morning without needing anything else to eat. Thank you Kim. Your recipes looks lovely. I’ve never actually tried a green smoothie with vanilla milk but I’m really going to have to as I adore vanilla in everything. Many thanks for visiting Green Thickies. Yes these are some great recipes from some of my favourite blogs too. 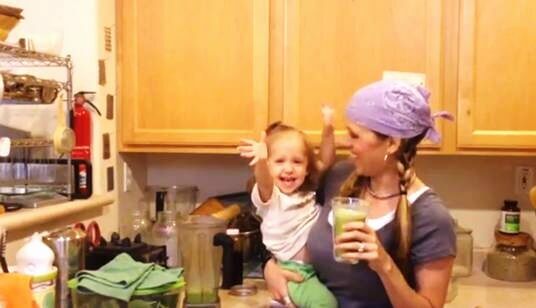 It’s funny I drank the same green smoothie for 6 months after my baby was born. That’s why I love this blog as it gives me inspiration to vary my own diet. You should try the key lime pie. It’s absolutely gorgeous. It was gone far too quickly. I’m going to have to make a green thickie version of that one I think. Thank you so much for visiting. What a delicious choice of green smoothies! 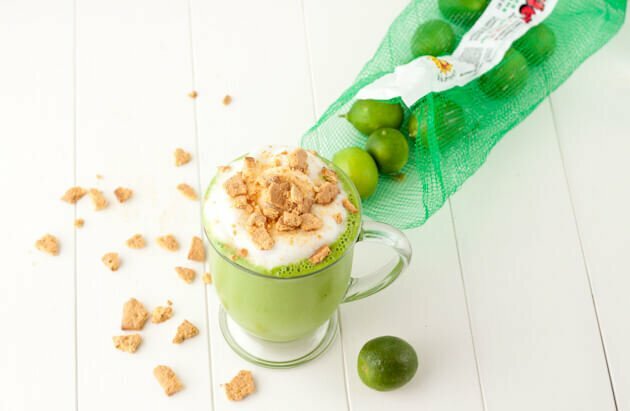 I love the unique flavour combinations on offer – especially the key lime! What a great collection of Smoothies, I want to try them all. Hope you have a great holiday weekend and thank you so much for sharing with Full Plate Thursday. Thank you, yes they are all gorgeous smoothies and very unique. Thank you, we don’t have a holiday weekend over here but hope you are enjoying your holiday weekend. Yes I loved Full Plate Thursdays, I will definitely come back. Thank you for visiting Green Thickies. These looks so fun! Thanks for sharing on Southern Sundays. Hope to see you again tomorrow! I love GREEN smoothies. They all look wonderful. Will have to go and get the recipes. Thank you for sharing with us at Healthy 2Day Wednesdays! Thanks Carrie, that’s great you already love green smoothies. 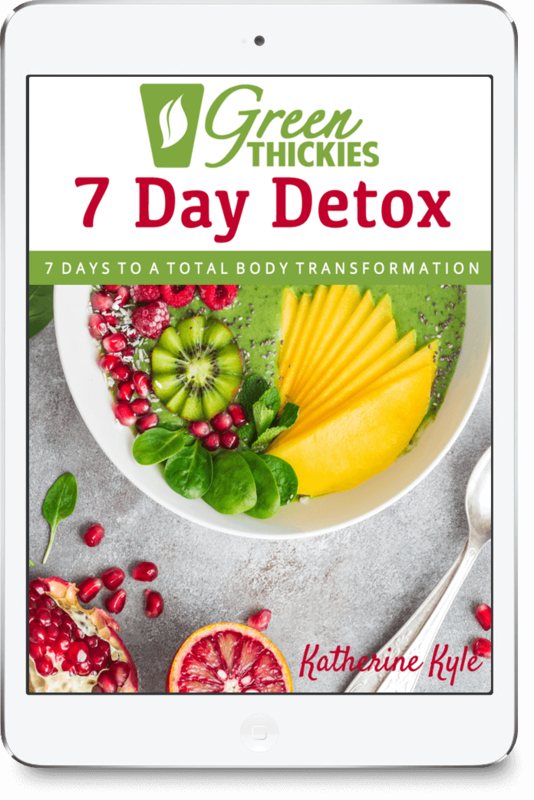 Thank you for hosting a great healthy blog hop. wow these all look wonderful and refreshing. Thank you so much for linking up to Creative Thursday last week. I can’t wait to see what you link up this week. I wouldn’t be able to do these wonderful parties without your participation. Have a wonderful week. I just started drinking “green” smoothies a couple of months ago and now I Love them. My favorite has Kale, apples, lime juice, and freshly squeezed orange juice. It’s so Yummy!!! Hi Tiffany, I’m so glad you’ve discovered green smoothies and love them. They are one of the best things we can do for our health. That smoothie sounds gorgeous. 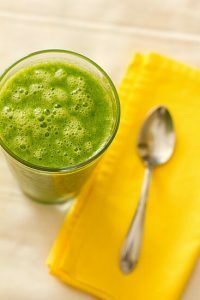 I love using freshly squeezed orange juice in green smoothies. It gives it a much nicer taste. Hi Brett. Thanks for asking. The green smoothies I featured on my top 10 list aren’t actually my recipes and I got permission for them all before posting them so I can’t give my permission for the individual recipes but you are very welcome to feature any a couple of my own recipes or posts with a link back to my blog. Great looking blog, I have really been enjoying reading it! 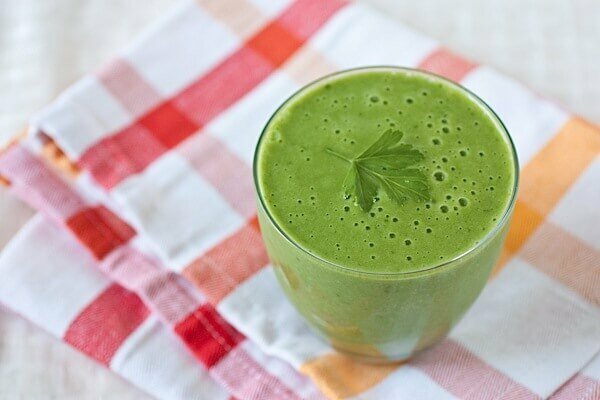 You have some amazing green smoothie recipes. I especially like #10, the limeade. great!